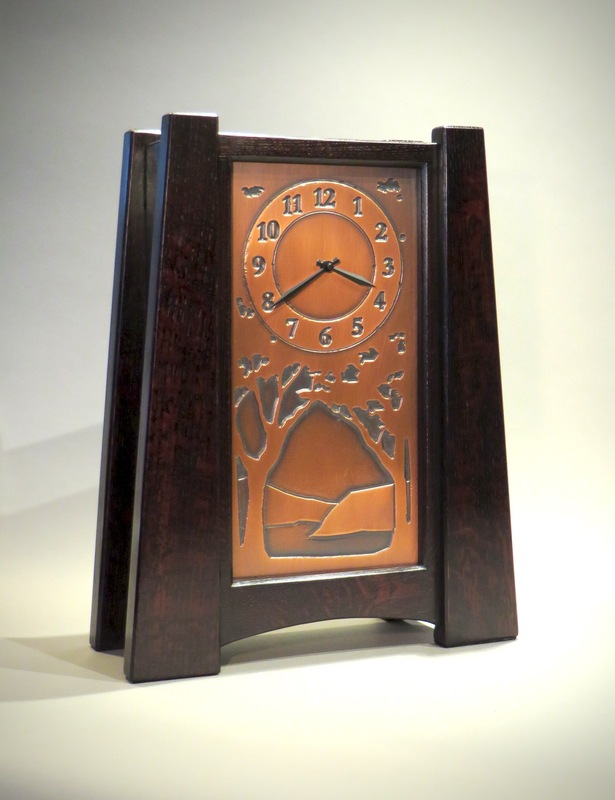 I created the first of this clock for the Arts & Crafts Conference at the historical Grove Park Inn in Asheville, North Carolina and named it in honor of this magnificient example of all that is grand and beautiful about the Arts & Crafts movement. I worked with copper artist James Mattson to create this new variation on the bridge construction concept. This clock features a “rook” top, where the four columns extend beyond the finished top. The vertical etched copper landscape was designed and created by James Mattson. 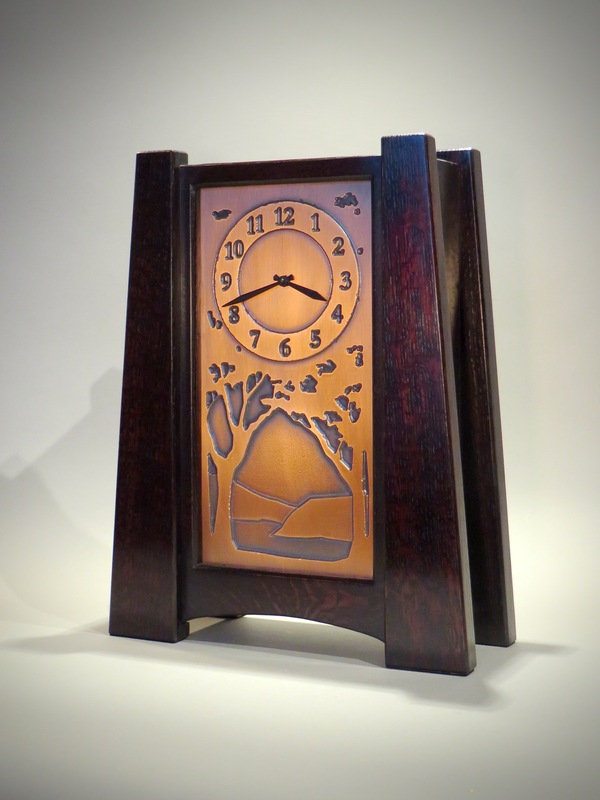 The clock is 20″ tall, 16″ wide and 6″ deep. It sells for $800.